FINA is delighted to announce INSCYD as a first time Event Partner for the 5th FINA World Aquatics Convention, to be held at InterContinental Hangzhou, China, 8–10 December 2018. 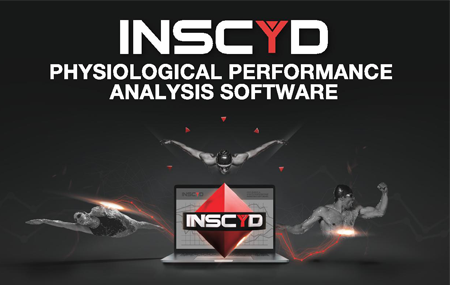 INSCYD is the world’s only and most advanced physiology performance analysis software. It provides coaches with a holistic and detailed insight into their athletes’ physiology and explains how physiological metrics interact and contribute to an athletic performance. From simple, in-pool tests, coaches can create a ‘physiological avatar’ of the athlete that includes data such as maximum aerobic and anaerobic power, energy cost at given speeds, body composition, energy contribution from aerobic vs. anaerobic metabolism and buffering capacity. INSCYD works with several high calibre organisations, federations and coaches such as the French Swimming Federation. Coaches use INSCYD to precisely monitor the physiological development of their athletes and create efficient and laser focused training programs. “Being a part of the FINA World Aquatics Convention is fundamental for the growth of INSCYD. It is an incredibly unique opportunity to be able to engage and communicate with federations, head coaches and other Aquatics experts and leaders in one venue” says Sebastian Weber, INSCYD, Head of Human Performance. The 5th FINA World Aquatics Convention in Hangzhou is swimming’s biggest and most important networking event of 2018!